The One-29 from BlueDri is daisy-chain compatible as advertised, and it’s available in 4 different colors: blue, red, grey, and green. It’s fully stackable, allowing you to pile up to 3 units for easy storage. But should you get one of these air movers? What are its pros and cons? Let’s find out more about this product in this BlueDri One-29 review. 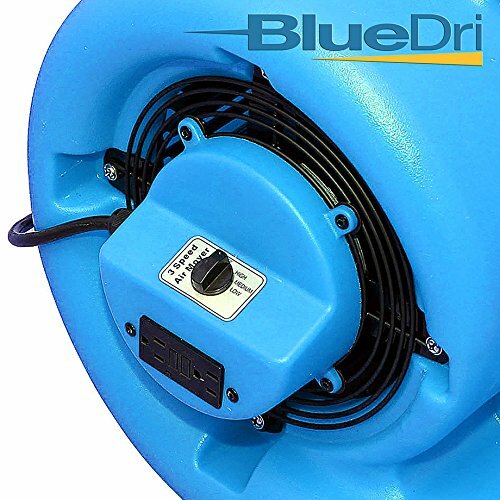 Let’s start this BlueDri One-29 review with a list of this air mover’s key features. Just like the OdorStop OS2800, the BlueDri One-29 is multi-positional. You can choose from 3 different angles – horizontal (0 degrees), vertical (90 degrees), and a 45-degree position. This gives you a variety of airflow directions, which should be helpful when tackling tasks of different locations. As advertised, the BlueDri One-29 weighs 27.4 pounds with a built-in handle that makes it easy to carry and transport from one place to another. This is a helpful feature because sometimes, you’ll have to finish a task by yourself. It comes with a 1/3 HP motor that’s capable of blowing out up to 2900 CFM of air outflow at the highest speed setting. As for the housing, expect a highly durable, roto-molded plastic casing that gives this unit that much-needed protection, making it the ideal drying tool in an industrial or commercial environment. There are three speed settings to choose from. It comes with a 25-foot power cord and it has its own cord wrap so that it’s easy to store. It also has daisy-chainable capabilities ( up to 4 units at a time), and it’s C-ETL-US listed. How did the One-29 fare among previous buyers? Here’s a summary of consumer feedback and comments. Performance. Not everyone agrees to the 2900 CFM claim, but the general consensus is that it does a great job in blowing a good amount of air for drying and ventilation purposes. 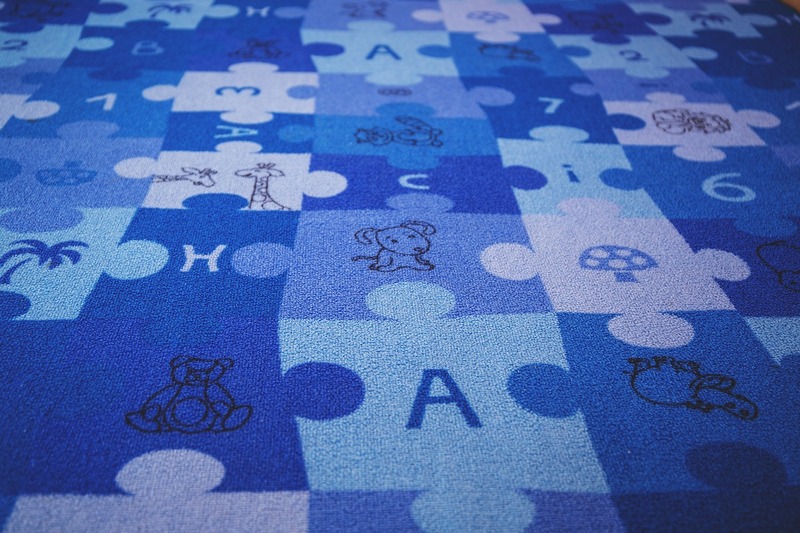 One person who lives in an apartment with a damp basement shares that her rugs stay damp even after a week. But thanks to the BlueDri One-29, this will no longer be a problem. Another person shares that they use their One-29 to move heavy smoke, and it does the job excellently. One person said he uses this to move air from one part of his house to the other purposely to “even out the temperature,” and this air mover does the job well. Airflow. It blows cool air, which helps not only in circulating air but also in keeping the temperatures down especially during hot days. Noise. You may not like the sound it makes, but it’s expected from an air blower that blows a fair amount of air. However, as one person has said, it’s not as noisy as other brands. Other Comments. It’s well-built, and it can be easily transported. 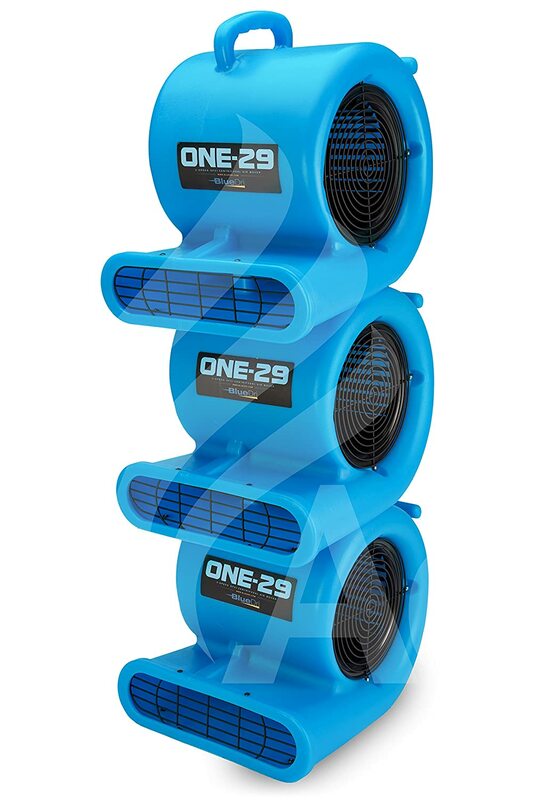 If you rely on these air blowers for your business, you’ll be happy to know that it’s stackable, which means you can fit several of these in your van. Should you get a BlueDri One-29? Here’s what we have to say. 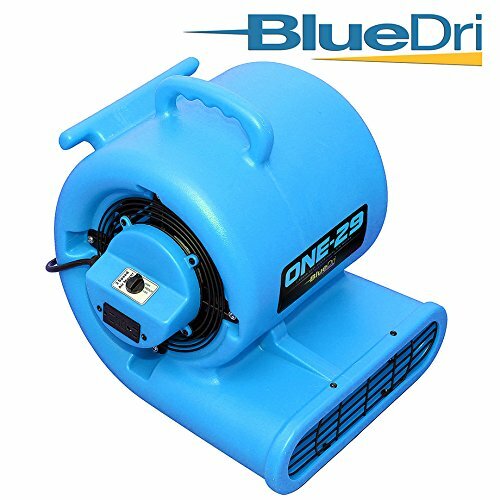 If you’re looking for a fairly inexpensive, compact, and powerful air mover, then yes, go ahead and purchase the BlueDri One-29. Best Air Mover ReviewsWhat's the Best Air Mover?